Clearly, the nature of the stories in "Chains of the Cosmic Wanderer: A Matter of Significance" has already told you much about the author. R.W. Murphy is, for the most part, the person you have seen portrayed. He does indeed consider himself a "redneck-Yankee" with one foot on each side of the Mason-Dixon Line. Also, for the most part, the life events all happened, at least to some degree. Those in the book that are pure fantasy are in the minority. Many of the stories have been skewed from the truth just enough to protect the actual players. Some of them were altered just a little bit to make them more fun to read. By the author's design, the Epilogue section contains many deliberate lies, especially the portions regarding becoming rich, endowing scholarships, the existence of the Seanchaí Tale Fest, the Black Appendix, and the worldwide cruising in a sailing yacht with a beautiful mate at his side. The lies, in total, are merely a literary device he has used to offer counterpoint to the false assuredness a reader might have developed after being spoon fed too many truths. That, in itself, should tell you something about the "Cap." In the aggregate, his writings reflect his life lived fully. 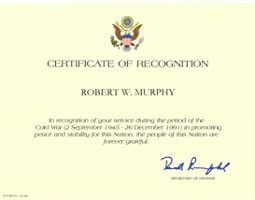 Mr. Murphy has indeed been a regular, commissioned, U.S. Naval Officer. At last count he has made eighteen trans-oceanic crossings. Fourteen of those were made while on orders for the Navy, seven in ships and seven in aircraft. He has been on every continent but two: Australia and Antarctica. When assigned to Viet Nam in 1972 he was actually only an NROTC midshipman. His commissioning and orders to Africa occurred the next year. He did hold the extremely high security clearances to which his stories refer. Most of the intelligence related tales are based on actual experience. The seriousness of ASW work and nuclear weapons deployment he discusses are also based on real events. Fortunately, the author indicates that, today, the tactical nuclear weapons have been removed from small ships and those deliberations no longer occur with junior officers. Subsequent to the Navy, the author did, in fact, receive an MBA at the University of North Florida. He was also subsequently offered a PhD candidate position by another Florida university in South Florida which he was forced to decline. The law school admission acceptance was to the Stetson University School of Law for a spring semester seat. He was forced to pass on that seat due to the Navy refusing a two week cut on his obligated service. The Harvard course, "Skills for the New World of Health Care," with the majority of surgeon students to which he refers, did indeed occur in 2004. Cap worked for a large commercial fishing boat manufacturer in St. Augustine, Florida until the bottom fell out of the new boat market when the U.S. government eliminated subsidies in the early 1980s. He subsequently went to work at a major health insurance company. In that capacity, he was assigned to Jacksonville, Nashville, Philadelphia, and ultimately Miami where he was on a new market entry team for an emerging, cutting-edge product. 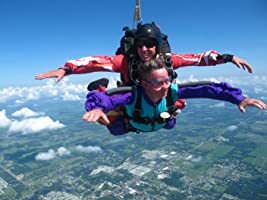 The Miami assignment followed feasibility study work related to the same product in St. Louis, Cincinnati, Nashville, San Antonio, Orlando, and Atlantic City while based in Philadelphia. The instability of the health insurance business ultimately led to him working for several employers in South Florida. 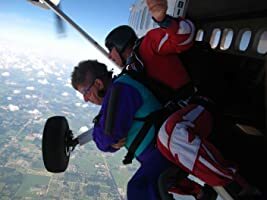 His depth of knowledge regarding Miami, Ft. Lauderdale, Key West and South Florida in general, comes from fifteen years living in that region. He is also a diving instructor and has made many of the Mexican trips upon which his stories are based, as well as thousands of other dives. In addition, he participated as an underwater photographer for the Cousteau Society's Project Ocean Search 1990 project in Fiji. 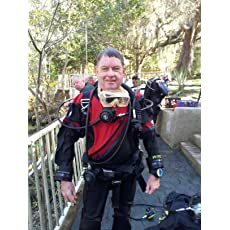 Since 1995, Mr. Murphy has been an independent broker/consultant, part-time Master Scuba Diver Trainer with PADI (i.e., the Professional Association of Dive Instructors) and aspiring writer. Over the years, he has had several professional pieces pertaining to the healthcare delivery system published by various technical journals. It's been awhile since I last posted about my second book. Chains of the Cosmic Wanderer: The Action Manifesto. The news is both good and bad. First the good... I finished the first draft of the manuscript in September and I think it's a pretty good story. The bad: it has taken me this long to knock out 530 pages of 750 during what started as a standard edit for spelling and grammar and has turned into a fairly extensive re-write (style... not substance). Finished the first draft of the new book Friday 9/7/2018. As I warned, it went long at 630 6x9 pp. With front and back matter it is a total of 650 pp. It seems I have brought it in within the definition of "epic" at 287,000 words. Hardly getting rich folks but I have received a royalty payment from Amazon for the first time. Direct deposited into the account I specified months ago. Nice to see a bank ledger entry that didn't have a negative sign in the front of it. Work is going slower than I would like. Twenty chapters written. That's 270 6x9 pages in the can as of noon today. There are 95 more pages fleshed out in my outline but if history is any indication that will turn into 150 pages as I complete the re-write. I could split this into two separate 250 page books but will likely just leave it just one more long one. Since it will be in ebook and print on demand formats, there is no real incremental cost doing it that way. 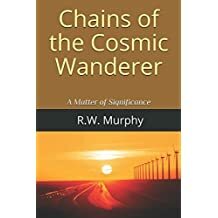 I have five 6"x9" paperback copies of Chains of the Cosmic Wanderer: A Matter of Significance still in stock. I purchase them from Amazon at a special author's price. I am selling them for a flat $17 delivered by USPS (i.e., handling, postage and tax included). That translates into roughly a $5 reduction for buyer. If desired, will autograph front pages per your direction or with a default message if you do not specify. Email: rw_murphy@aquaclarapress.com to order. As or today I have 210 pages in the can for The Action Manifesto. Unfortunately, I have to keep pushing out the publishing date. July 15th is still the official date but it's probably a little soft. It will likely be closer to August 1st by the time all the post-writing manuscript editing takes place. At least this time around the Amazon Kindle Direct Press procedures will not present such a huge learning curve. Picked up in entirety by 230 media outlets within 3 hours of release. Those outlets represent a potential audience of 14.2 million people. Click her to view actual release. 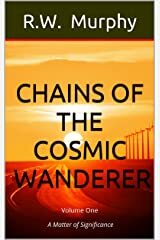 Google Search Now Returns Chains of the Cosmic Wanderer on Amazon. Below is screen shot. 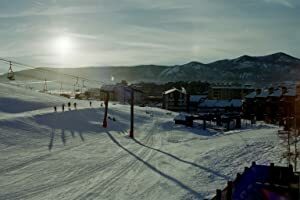 Sorry it is so fuzzy, Click on image to expand it in browser. Click upper right "X" to close image view and return to blog. eReleases is handling press releases for Aqua Clara Press relative to new book Chains of the Cosmic Wanderer: A Matter of Significance. First release is scheduled for Wednesday morning 16th to Florida media outlets. New Web site hosted by Net Solutions went live today. Still tweaking a few small things but base site is done. A full array of information on books is available there. Liveaboard staysail schooner Tui Ni Wasabula II... the Tui Two... per Epilogue in Chains of the Cosmic Wanderer: A Matter of Significance. Will figure into new Volume II: The Action Manifesto. She was re-rigged as a split backstay, club-footed staysail, cutter-ketch and repainted a glossy forest green in Key West. Masts were switched during overhaul with shorter one now aft. Due to the structure of the Amazon publishing process, the original eBook cover had to be modified somewhat when the print cover was being created. The interior text of both versions is identical. Also, the print version required substantially wider margins which caused its total page count to increase substantially relative to the eBook pagination. R.W. 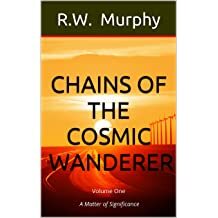 Murphy indicates that Chains of the Cosmic Wanderer: Volume II The Action Manifesto is currently in production. Much of the story was conceptualized and outlined earlier. The time to complete the writing and go to publishing should be minimized. Expected publication date no later than June 30, 2018. R.W. 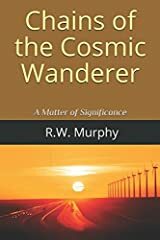 Murphy's new historical novel Chains of the Cosmic Wander: A Matter of Significance was released last week on Amazon in both Kindle eBook and paperback print on demand versions.Click her for Amazon book summary page . Click here for author information.Aqua Clara Press is the publisher.Ebook ISBN: 978-1-7323331-0-9Print ISBN: 978-1-7323331-1-6Both versions are searchable on Amazon.com using the search term: Chains of the Cosmic Wander .